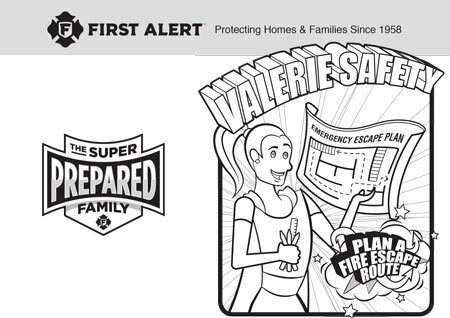 This Fire Prevention Month, Ensure Your Family is Super Prepared! 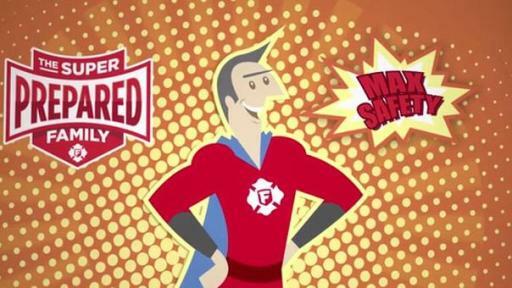 (Aurora, Ill.) October 4, 2017 – Not all heroes wear capes, and when it comes to fire and carbon monoxide safety, anyone can be a superhero. 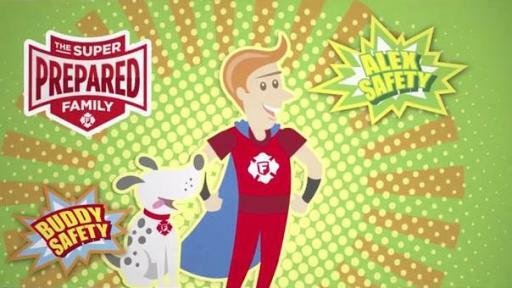 In honor of Fire Prevention Month this October, First Alert, the most trusted brand in home safety*,is encouraging everyone to be super prepared when it comes to whole home safety. 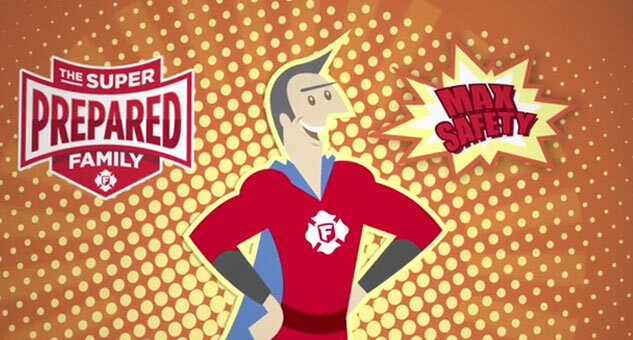 First Alert has been helping protect homes and families since 1958. 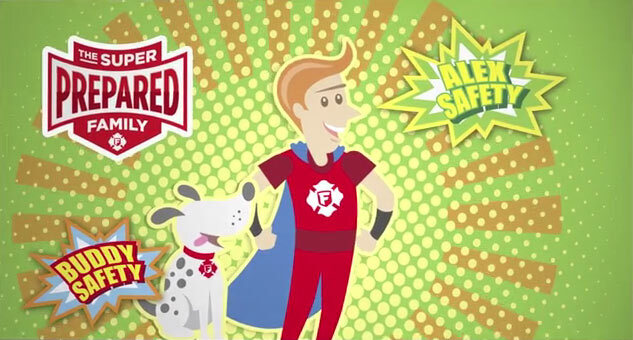 Ensuring properly functioning smoke and CO alarms are installed throughout the home – one on each level and in every bedroom, as the National Fire Protection Association (NFPA) recommends – is the first line of defense for fire prevention. Additionally, alarms must be regularly tested – and alarms do not last forever and must be replaced at least every 10 years. Beyond alarms, having fire extinguishers – and knowing how to use them – is an important part of maintaining a safe home for you and your family. Place extinguishers in each area of the home where a fire could potentially occur, including the kitchen, living room, each bedroom and garage. 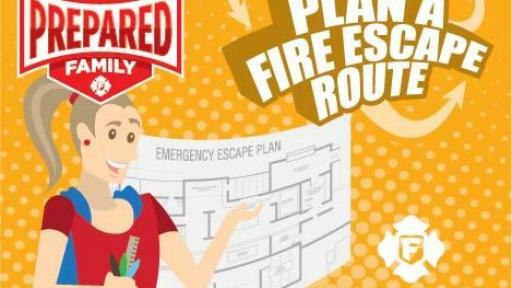 Another critical component of fire safety is having – and frequently practicing – an escape plan with your family. As part of this plan, equip second-floor sleeping areas with escape ladders and discuss how to use them. 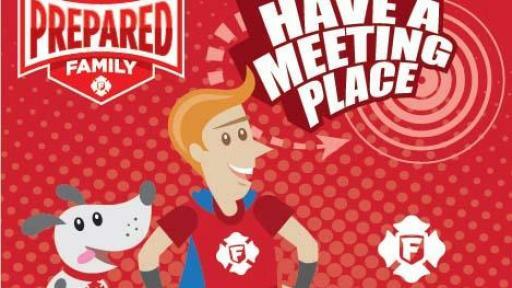 In the event of an emergency, it is important to exit the home, stay outside and wait at the predesignated meeting area. Call 911 and wait until officials clear your home to re-enter it safely. 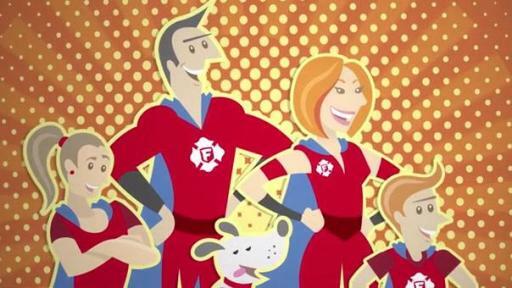 The Super Prepared Family is here to help! 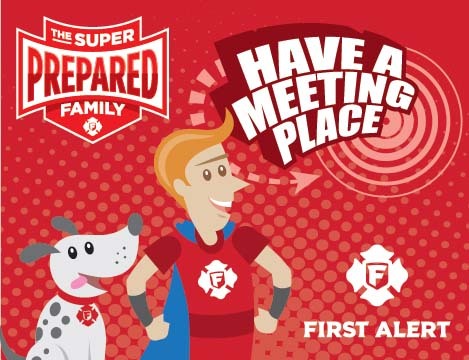 From the outside, they may look like a typical family, but each family member has a special “super safety power” and plays an important role in helping ensure their family and home are protected. Max Safety, the dad, is super-tall. Using his long arms, he’s able to easily install smoke and CO alarms throughout the home. Able to reach great heights, he’s also responsible for testing the family’s alarms and replacing their batteries when needed. In fact, he checks each month to ensure every alarm is in proper working order. Because alarms do not last forever, Max makes sure to replace alarms every 10 years to help ensure his family is protected. 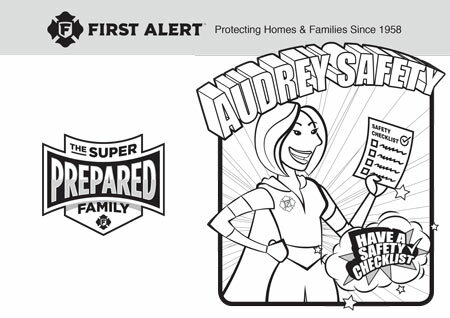 Mom Audrey Safety is a super-smart planner. She stays informed of the latest recommendations from the NFPA to ensure her family is super prepared. 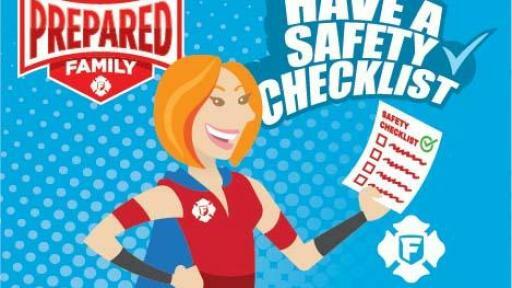 She has a complete safety checklist and makes sure she follows it with help from everyone in the family home. 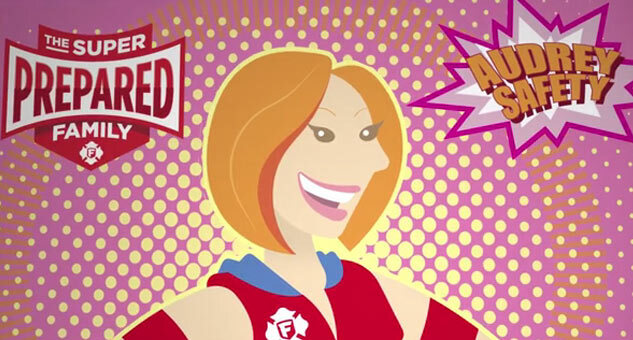 Items on her checklist include testing alarms, keeping track of expiration dates and replacing alarms as needed, ensuring alarms are installed on every level, and planning and practicing her family’s escape route. With Audrey, nothing falls through the cracks, which is why other annual items such as professionally servicing the furnace and ensuring dryer vents are clean also make the checklist. 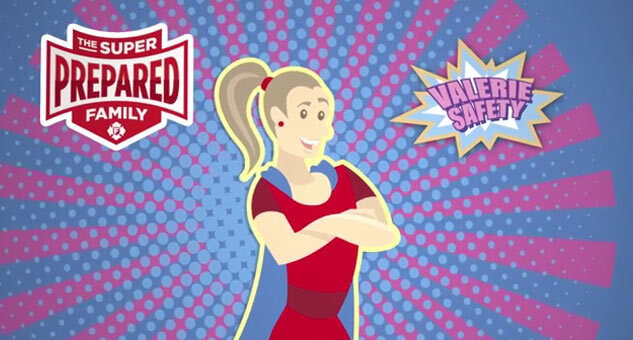 Their daughter, Valerie Safety, is super-organized. She draws out the family’s fire escape plan, reviews it with the entire family and ensures that they practice it regularly together and include pets. 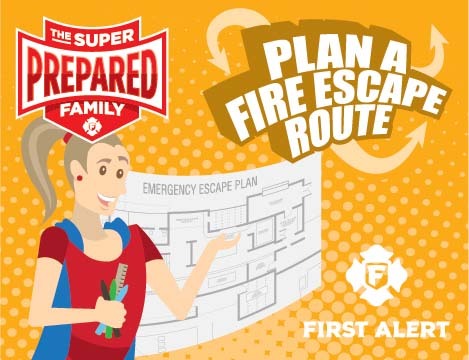 Fire can spread through a home rapidly, so by creating their escape plan and practicing it regularly, the Super Prepared Family can get to safety quickly and calmly. Valerie makes sure the family practices their escape plan at least twice a year. Younger son Alex and the family dog Buddy are the super-navigators. They know the importance of getting out and staying out of the home if there is an emergency, and waiting in their pre-determined meeting spot away from the home until the firefighters say the home is clear to re-enter. 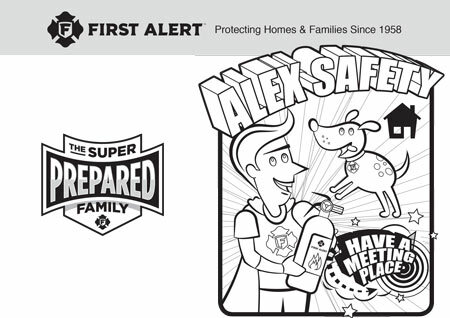 Alex knows to immediately call 911 once they are safely out of the home. 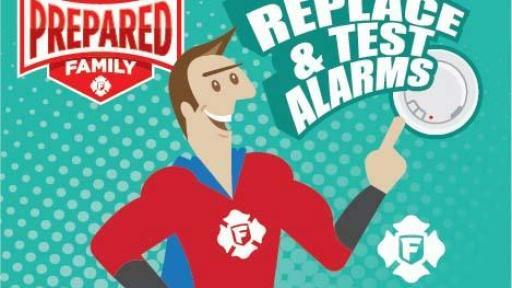 Fortunately, advances in smoke alarm technology have made it even easier for every family to become a Super Prepared Family. 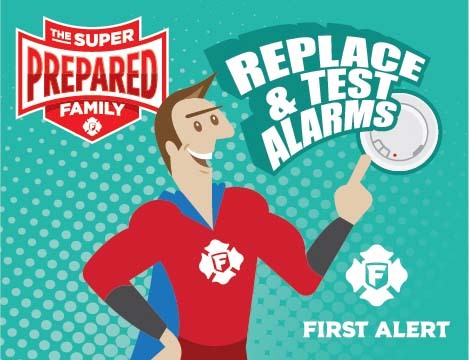 If alarms are due for replacement, consider upgrading your level of protection with First Alert smoke and CO alarms containing 10-year sealed batteries, which offer tamper-proof, hassle-free protection while eliminating the need to replace batteries for the life of the alarms. The NFPA recommends equipping homes with alarms of both types of smoke detection –photoelectric and ionization. Consider your home’s specific needs regarding placement, making sure to install alarms in the basement, in or just outside every bedroom area and placing CO alarms on every level of the home. A variety of smoke alarms, including combination and 10-year battery powered models, are available to meet specific needs and local requirements. 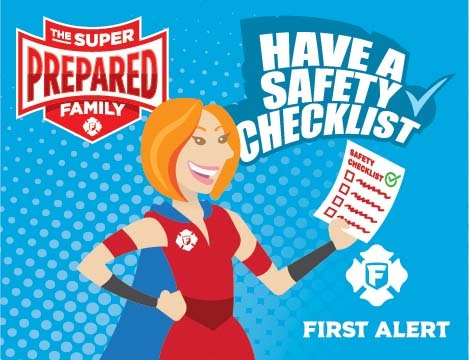 The Super Prepared Family know the importance of kitchen safety, too, as cooking equipment is the leading cause of home fires and fire injuries. 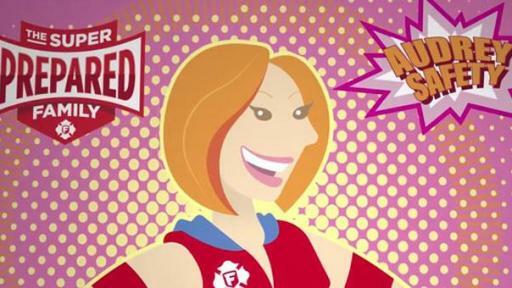 ** It is important to place a fire extinguisher in the kitchen and in other parts of the home where fires may occur. Additionally, they outfit upstairs bedrooms with escape ladders in case a secondary safe exit is ever needed in an emergency. 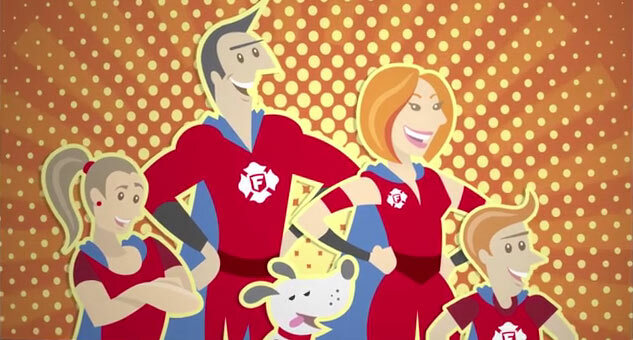 To see the Super Prepared Family in action and obtain information and other resources regarding 10-year alarms, alarm laws in your state, as well as tips for protecting your family from smoke, fire and carbon monoxide, visit www.firstalert.com/firepreventionmonth. *First Alert Brand Trust Survey, February 2017 – Results are based on the responses of 1,004 adults, ages 18 and older, living in the United States who completed a telephone survey, February 16-19, 2017. Results are accurate to +/- 3 percentage points with a 95 percent confidence level and can be generalized to the entire adult population in the United States within those statistical parameters. For more information or a copy of the complete survey and results, contact Tim Young at LCWA: 312/565-4628 or tyoung@lcwa.com. BRK Brands, Inc. (Aurora, IL), is a fully owned subsidiary of Newell Brands. For 50 years, BRK Brands, Inc. has been the manufacturer of First Alert®-branded home-safety products, the most trusted and recognized safety brand in America. BRK® Brands designs and develops innovative safety solutions including Tundra™ Fire Extinguishing Spray, Onelink by First Alert smart home products, a comprehensive line of smoke alarms, carbon monoxide alarms, fire extinguishers and escape ladders to protect what matters most. Such products are also marketed under the BRK Electronics® brand, The Professional Standard for the builder and contractor audiences. BRK Brands, Inc. products are found in more than 30 countries worldwide. For more information, visit http://www.firstalert.com, http://www.brkelectronics.com or http://www.newellbrands.com.